Serafina is 18 years old and from the Mukubal tribe in southwestern Angola. Married off at a young age and one of several wives, Serafina became pregnant when she was 14. She is very small-boned and was suffering from malnutrition when she came to the hospital, as food is often scarce in that part of the country. As a result of that and other factors, her delivery did not go well. After at least five days of labor, Serafina’s family realized she needed help and took her to a hospital in the coastal town of Namibe. Serafina herself said she does not remember anything about the last several days of the delivery. At the hospital, doctors cut her abdomen open and removed the stillborn baby nearly a week after her labor had begun. Afterwards, Serafina began leaking urine and feces. 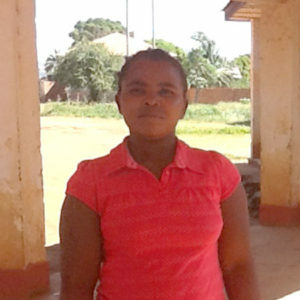 When she was 18, someone told Serafina and her family about a mission hospital called Evangelical Medical Center of Lubango (CEML). They brought Serafina to the hospital, and doctors there discovered that she in fact had several fistulas and her uterus had been completely removed during the C-section. Serafina was very nervous – she was completely out of her element in the hospital and no one spoke her language. 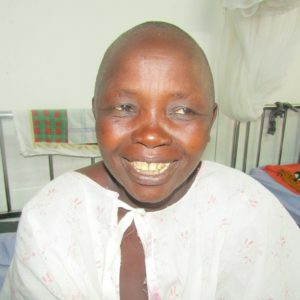 She was comforted by the kindness of hospital staff and her family, however, and fellow fistula patients helped her to understand she was not alone. Doctors at CEML performed a colostomy on Serafina, which she soon became very adept at caring for. Her colostomy was later reversed, and doctors were able to repair all of her fistulas! Serafina is now dry, and hospital staff report that she nearly jumped out of bed with joy when she was finally discharged. Mother’s Day – You Did It! 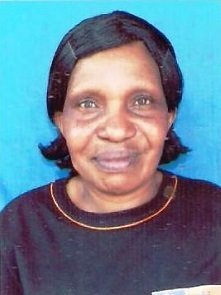 Cellina Nyasugutha is a community health volunteer with Daraja Mbili, an outreach program based in Kisii. 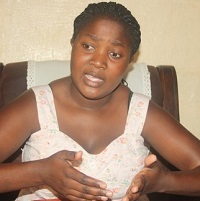 Rose developed obstetric fistula at the age of 16, during her first delivery. Life became very difficult for her, in a number of ways. She is not married, and her father is dead. Survival became a challenge. 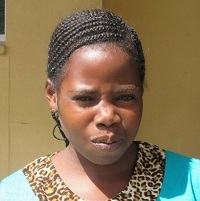 Mwajuma developed a fistula while in labor with her seventh child. Thankfully, it wasn’t long before she met Mariam, who helped her get free treatment through our Action on Fistula program in Kenya. 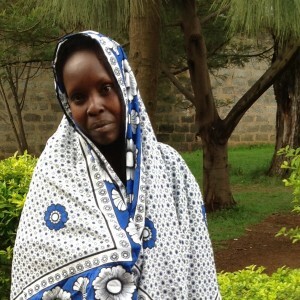 With her health restored, Mwajuma now has plans to start a new business so she can help support her family. When 18 year-old Fatma became pregnant, she did not have early and quality access to the healthcare she wanted when she gave birth. 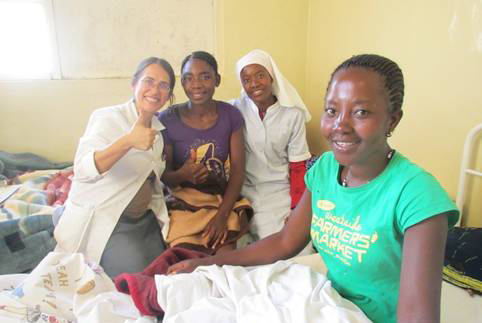 Fatma developed a fistula as a result of prolonged labor. 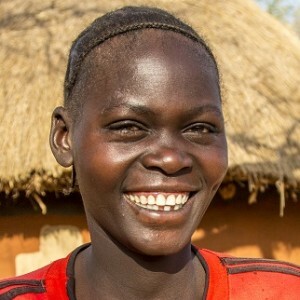 Fatima lives in Sudan. 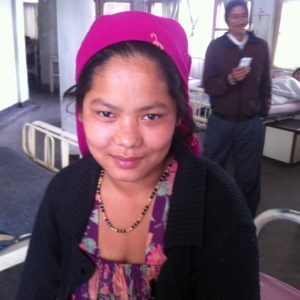 She went into labor at the age of 16, but initially didn't have access to a hospital. 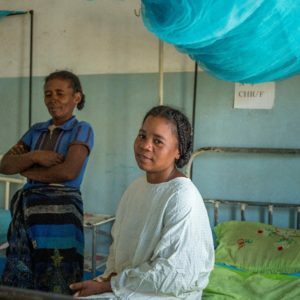 By the time she was taken to the hospital, the baby was dead, and Fatima developed an obstetric fistula. Her husband divorced her, leaving Fatima emotionally shattered by the loss of her husband and first born child. Binta is 35 years old and from Fidi, a landlocked village in northwestern Guinea. At 14 years old she was forced to marry a much older man, and soon became pregnant. After five days of painful labor, she lost her baby. A few days later, she realized that she was not able to control her urine. 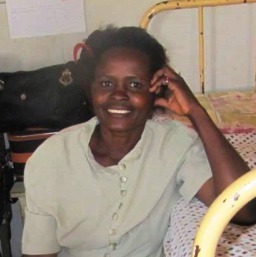 The difficult labor had left her with an obstetric fistula. Justine is 37 years old and lives in Bumasiki , a small village in Bugiri District in Uganda. When her labor pains began, she prepared to go to the hospital but didn’t have enough money to get there. She arrived 20 hours later after gathering sufficient funds from friends and neighbors; but by then, she had developed an obstetric fistula. 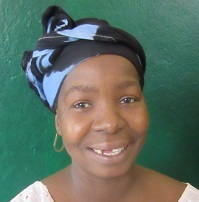 Everlyn developed fistula during her second pregnancy. Shunned and stigmatized by her own family, her husband stood by her side until she received successful treatment through the Action on Fistula program. Today, Ana is 18 years old, with an enthusiastic outlook and bubbly smile. That wasn’t always the case. 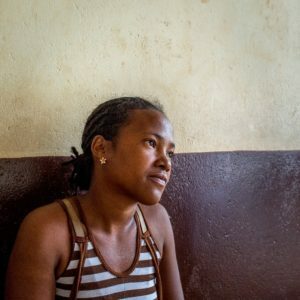 Ana was just shy of 16 years old when she became pregnant. Everything went well, until it was time to deliver. Her labor was excruciating, and lasted for days. 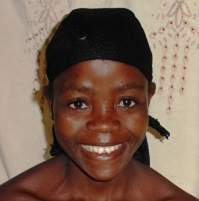 Towanda is 20 years old and from a rural area just outside of Harare, Zimbabwe’s capital city. Four years ago at the age of 16, she became pregnant. When the time came to deliver, there were a lot of complications. Vitasoa is from the village of Manja, approximately 250km from the nearest city, Morondava. 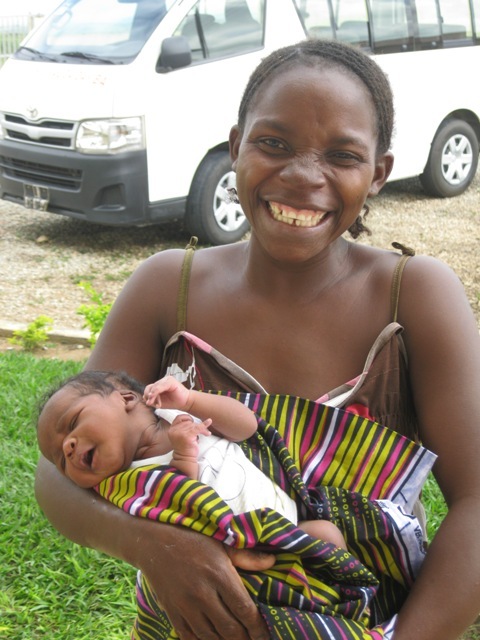 She developed fistula during the birth of her first child. Meranesoa’s husband accompanied her to the hospital for her fistula surgery, and said he had every intention of helping, supporting and standing by her side while she received and recovered from treatment. 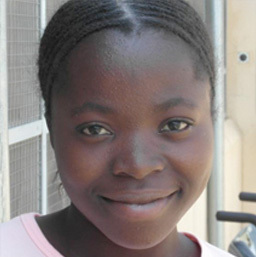 Flavia is a shy 17 year old girl who was married when she was just 15. Soon after, she became pregnant. Her labor began at home, but the family was unprepared when the labor became obstructed. Not knowing what to do, they finally took her to a hospital. Esther gave birth to her second child, Manuel, less than one year ago. She was encouraged to stay at home to deliver the baby, where she labored for three days with the help of a traditional birth attendant. Fortunately, she gave birth to a lively baby boy. However, after four days she noticed she was leaking urine and was unable to control it. 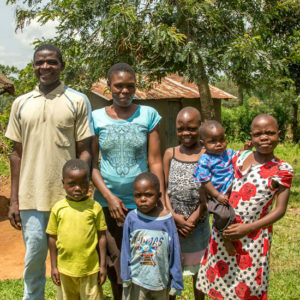 At 16, Sofia lost her baby boy in childbirth and developed a fistula, prompting her husband to leave her. Unaware what her condition was called or that treatment was possible, she became almost completely isolated over the next three years, giving up hope of ever being healed. A radio ad changed her life. Janet can't explain how she ended up at the political rally that day, but it changed her life forever. A mother of two, Harka Maya lives in Sindhuli, Nepal, roughly 80 miles (129 km) from Kathmandu. She developed a ﬁstula last summer, while in labor with her third child. Being from a poor farming family, it was customary for her to deliver at home. 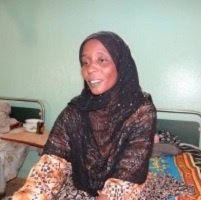 Khadijah lived with fistula for 18 years, and it isolated her from everything and everyone around her. Originally from Chad's northern region of Bar Elgazel, she was married when she was only 14 years old. Her first pregnancy came three years afterwards and, not knowing the importance of seeking health care or treatment, she never received any prenatal care.